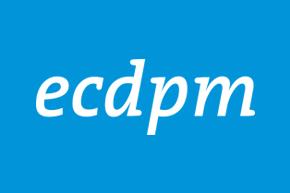 Since the introduction of the ‘Heavily Indebted Poor Countries’ (HIPC) Initiative in 1996, its enhancement from 1999 onwards, and the further introduction, in 2005 of its successor, the Multilateral Debt Relief initiative (MDRI), debt relief has gained prominence as a potentially important ‘alternative’ modality of aid, next to more traditional aid modalities . What were the goals of the donor community in providing this kind of donor support, in theory and practice? In this introductory contribution, we also briefly assess in general to what extent these goals were achieved, providing arguments for its development effectiveness and relevance as a donor instrument, which also legitimizes its eligibility for inclusion as Official Development Assistance (ODA). Along the way, we also show that different types of debt relief bear close resemblance to more traditional aid modalities mentioned above. Clearly, the main goal of the donor community was to enable highly-burdened, poor debtor countries to ‘clean their external debt slate’. This was not only to formally acknowledge what was partly a fact in most countries, i.e. that these countries were not capable of (fully) servicing their debt as contractually agreed, and that they merely accumulated payments arrears, or engaged in repeated debt rescheduling that transferred most of the payments to the future, further stockpiling debt. It was also to avoid the strong negative effects of a so-called high ‘debt overhang’ on the debtor country’s creditworthiness, foreign as well as domestic investment behavior, and on the capacity and willingness of these debtor governments to undertake necessary but painful economic and institutional reforms (with most of the benefits accruing to external creditors). Cancelling debt could therefore materialize into large indirect effects on investment and economic growth. Different interpretations of a what is a clean slate can be used; the most conventional one refers to cancelling the debt down to a ‘sustainable’ level, as defined by specific threshold indicators of capacity-to-pay. As such, the main goal of debt cancellation was certainly not to provide debtor governments with additional direct (fiscal) cash flows (arising from debt servicing savings), something typical of traditional aid modalities. 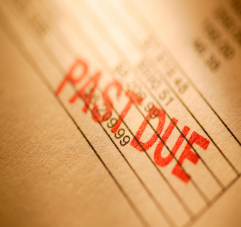 Determining the direct cash flow effect of debt relief is not straightforward. First of all, a decision to cancel a given nominal amount of debt does not lead to immediate equivalent cash flow gains: they arise over a period of time, depending on the original debt service schedule of the debt. To take into account both the volume of debt relief and the time dimension, the Present Value (PV) of future debt service payments relieved is used as the appropriate summary indicator of the cash flow gains. Second, and more important, to the extent that the debt service due would not have been paid in the absence of debt relief, no cash flow savings materialize. 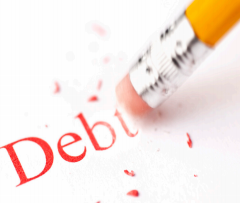 As, in practice, forgiven debt often would have been serviced only in part, debt relief is more correctly measured as the PV of debt service that would have been serviced in the absence of debt relief. This is sometimes called the ‘economic value’ of debt relief. It measures both the direct cost to the creditor/donor, as well as the direct (cash flow) impact to the creditor. In some cases, the direct cash flow effect on recipient government resources may be close to zero, in others it may be substantial. 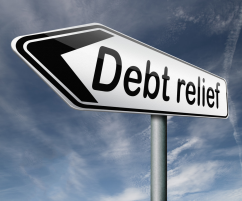 Thirdly, as with other aid modalities, debt relief comes with some strings attached by donors, which is a final way through which donors try to enhance the effectiveness of the use of debt relief. One way is by trying to steer the use of these debt relief cash flow savings. This can be done by micro-earmarking the use of resources (as is typical in for project aid), through sector-earmarking, or in support of a broad recipient country development strategy (so-called ‘policy-alignment’, typical for general budget support aid). Furthermore, the donor may wish to make use of a particular system of managing the funds, rather than using the recipient country system (so-called ‘system-alignment’). Additionally, more broad conditions may refer to macro-economic stability and economic reform (similar to the SAP approach), strengthening the overall development-orientation of government actions, and improvements in economic or institutional governance and public sector service delivery, again further reinforcing the indirect effects on economic growth and development in recipient countries. 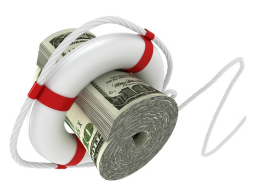 How well has debt relief practice performed on these (three) predetermined objectives? In order to do so, it is useful to distinguish between three waves of debt relief, those before the HIPC initiative, the HIPC Initiative itself, and those that went beyond HIPC. Pre-HIPC debt relief was largely confined to debt relief provided by bilateral official creditors gathered in the Paris Club, both on their concessional (ODA) claims, as well as on non-concessional loans (non-ODA loans, mainly export credits). From 1988 on, the Paris Club bilateral donors progressively included elements of debt relief along common terms in their rescheduling operations, first in terms of debt service relief, later also on debt stocks. 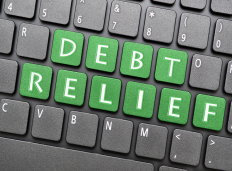 Although the debt relief share increased over time up to 67%, in general these operations are judged to have performed poorly in effectiveness terms. The operations did not result in restoring recipient country debt sustainability. Furthermore, the direct cash flow effect (economic value) of the debt relieved was deemed marginal. The attached conditionality, basically referring to an IMF program SAP-logic without more explicit development orientation, was also deemed largely ineffective. Alternatively, debt relief was also embedded in small debt buybacks or debt swaps in which debt was cancelled in return for counterpart local currency deposited in a separate fund, designated to earmarked development spending. Again, here, economic value was typically low, and conditionality inappropriate, in fact similar to traditional project aid. As the economic and debt prospects of many low-income countries continued to look bleak, the international community launched the Heavily Indebted Poor Country (HIPC) Initiative in September 1996. From this point onwards, debt relief got on two distinct tracks: one for HIPCs, and one for non-HIPCs, largely being a continuation of pre-HIPC practices. The HIPC Initiative explicitly aimed at ‘cleaning the slate’, i.e. restoring debt sustainability, by cancelling the debt of eligible low-income countries to a sustainable level, defined in balance of payments terms (a PV of debt to exports threshold) or in fiscal terms (a PV of debt to fiscal revenue threshold). Harmonization of efforts between all creditors was assured by fair burden-sharing principles, based on relative exposure. In order to be eligible (i.e. becoming HIPC), the country had to be eligible for International Development Association (IDA) funds, and hold an unsustainable external debt as defined according to the sustainability levels mentioned above. In 1999, the initiative was enhanced by deepening debt relief – the balance of payments and fiscal thresholds were lowered to 150% and 250% respectively – and by strengthening the link with poverty reduction. Enhanced HIPC debt relief was granted after the successful completion of donor-imposed conditionalities, some comparable to an IMF program, others related to the elaboration and implementation of a broadly-owned recipient country development and poverty reduction strategy (the PRSP). On top of this, some country-specific ‘triggers’ were included on, say, the quality of public service delivery. It was engineered as a two-stage process: decision point is reached after complying with some initial conditions (macro-stability, IMF-like reform, a preliminary PRSP strategy), followed by an interim period of further compliance with remaining conditionalities leading to completion point, where the debt stock is irrevocably reduced to the sustainability threshold. During the interim period, the country receives debt service relief, similar to final debt relief terms. As of now, 36 countries (including the DRC, discussed in this issue) have completed the trajectory. 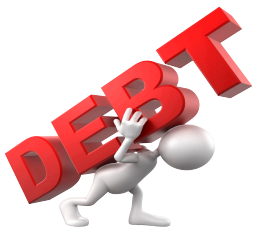 Overall, this type of debt relief was deemed to be more effective. Not only did it succeed in restoring debt sustainability, at least in the short-term, but also conditionality was deemed to be more effective in removing debt overhang, improving economic and institutional governance and broad poverty orientation by the recipient country government. All in all, this type of debt relief is largely similar to aid delivered as (general) budget support. What is less obvious is whether the HIPC initiative led to a substantial increase in direct cash flows: in total, HIPC debt relief so far amounts to about 60 billion USD in PV terms, less than half of which can be considered as additional resources, but with large variations between HIPCs. Beyond HIPC: budget support under a different name? Although the HIPC approach in principle realized debt sustainability, some HIPC country creditors decided to go beyond HIPC terms granting additional debt relief to HIPCs (only), further cleaning the slate. Paris Club bilaterals decided to cancel their own remaining eligible claims, and, from 2005 on, some major multilateral creditors did the same through the MDRI. Also this type of debt relief was deemed effective, and as its economic value was judged to be close to its PV, it comes close to being truly identical to budget support aid. The international community, and especially the Paris Club creditors, also engaged in a number of (sometimes large scale) debt relief interventions outside the HIPC framework, such as for Iraq and Nigeria (see the Nigeria case study for more details). This raises the issue of the considering debt relief for other, so far excluded, countries, for both motives of equity and appropriateness. In the absence of perspectives of new major initiatives in this respect, the debt swaps practice reappeared at the debt relief scene; it was usually promoted by sector multilaterals or global funds, or in the field of climate change. Overall, this approach remains ineffective, unless engineered very carefully. Despite regaining debt sustainability due to HIPC debt cancellation, it is particularly worrisome that some HIPCs are once again experiencing debt sustainability problems. The current monitoring framework to prevent this, a combination of Debt Sustainability Analysis (DSA) and initiatives to promote responsible future lending and borrowing, although both valid, cannot in itself assure long-term sustainability, due in part to the remaining vulnerability of those countries to (negative) external shocks. As such, the international community should be more pro-active in designing innovative schemes to increase the contingent nature of debt claims, better matching debt service due with capacity to pay evolutions. Danny Cassimon is Professor at the Institute for Development Policy and Management (IOB) at the University of Antwerp.